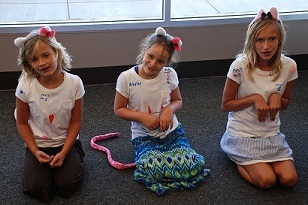 Music classes meet once per week for fifty minutes each week. Tuition is charged on a monthly basis. So long as the class is not full, you may enroll at any time with no long-term commitment. Per our policy, you may withdraw from ongoing classes at any time with two weeks’ notice. We offer a cappella singing classes for our advanced voice students. The term “a cappella” refers to ensemble singing with no instrumental accompaniment, like a barbershop quartet. Being a part of an a cappella group presents opportunities to sing more diverse and exciting music, learn how to sing in harmony with other singers, and also perform regularly with a group. Our a cappella groups perform at many of our recitals and events. Youth and teen acting classes will work under the guidance of one of our drama instructors on vignettes, scenes or monologues, which students will perform at our recitals, parties and other performance events. Students learn memorization, projection, improvisation and pantomime techniques, and script and character analysis through fun group exercises and individual assignments. The class will be broken up into 3 segments. The first part of the class will be for fun acting and drama games that are specifically designed to help students break out of their shell and to be more comfortable in a group. They also help the students tap into their creativity and to help them to build focus. In the middle part of the class, the students will be taught a short lesson from the curriculum. 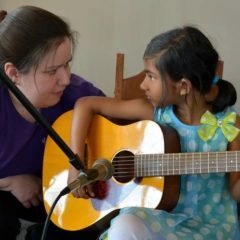 The topics range from “Techniques to Combat Performance Anxiety” to “How to use Gestures in a Song” to “How to Practice Varying Facial Expressions” and so on. The final part of each class will be used for student performances. Each student will have the chance to bring in music that they have been working on with their voice teacher in lessons. One at a time, they will perform for the class and the other students will learn to generate and articulate constructive feedback. Each student can be video recorded each week and the video of the in-class performance will be emailed to the parents weekly. Students may then watch and critique themselves at home. Please note that this class is strictly to work on acting, stage presence and performing. We will not work on learning notes or vocal technique since that is what students should be learning in their private lessons. This class is a supplement to what we do in lessons and is a great opportunity for our students to push themselves to become a more well rounded performer and entertainer! Our most popular classes! Enroll your 3-to-5-year-old in our preschool music and acting classes where they will learn social skills, following directions, and rudimentary concepts in the arts. “Ivy was talking all about how she was going to music school today. I had to break her heart and tell her it’s not until Saturday. She loves music school!” – Billie B. Our preschool music classes offer an opportunity for young children to interact with each other and a teacher, learn academic concepts that follow the Ohio Department of Education Early Learning Content Standards, practice and enhance motor skills, and exercise, all in a controlled, fun, musical learning environment. Your child will be learning, giggling, and singing songs that you will continue to hear at home throughout the week! Children are also exposed to rudimentary drumming, piano, violin and guitar concepts. “I think the woman who teaches [my daughter’s] pre-school class is TREMENDOUS! (Possibly also a saint). She keeps a fair amount of order while letting them still have freedom to be kids. She doesn’t expect miracles, so they are enjoying playing and just having fun, and I suspect may ALL end up musicians as a result. The kids certainly all seemed to be having fun, and they ARE learning!! The noise level (because they aren’t yet actually playing the designated notes most of the time) is high, hence my comment that she may be a saint – or at least NOT prone to headaches! 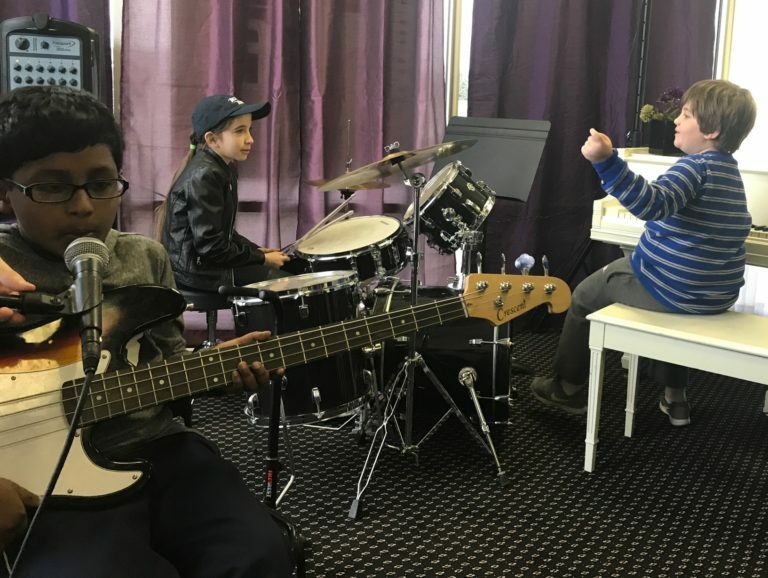 Anyway, kudos to all of you for running such a first-rate establishment!” – Daphne V.
Michelle Tuesday Music School offers band coaching and gig opportunities for youth and teen rock, pop, and jazz bands. If you would like to enroll your band in coaching, or if you would like to be in a band, please contact us at lessons@michelletuesday.com. Band coaching includes weekly fifty-minute classes with a professional band coach. Bands will have the opportunity to perform routinely at MTMS recitals, parties, and performance events. Group sizes range from 3-6 band members. As bands progress together and gain proficiency, original songwriting instruction may be introduced. Read more about rock band classes at MTMS in “The Amazing Rock Band Blog Post” by student Lauren Tomsen. MTMS Flute Choir consists of 6-12 students under the direction of Dr. Angela Heck Mueller. Rehearsals are 50 minutes once per week. More advanced flute students may be invited to join our elite Advanced Flute Choir. Enrollment in MTMS Advanced Flute Choir is by audition only. Please contact us to schedule an audition. Non-advanced students are invited to enroll in MTMS Flute Choir. Our Flute Choirs and Ensembles perform at many of our recitals and events.